Golf Caddie is now available via the Palm App Catalog both in Trial and Full version. Golf Caddie is a golf scoring application that also has GPS range finder (ala sky caddy) capabilites for webOS. It uses the existing course data provided by www.bbgpsgolf.com, a free golf gps application for Blackberry users. This application comes with many features such as: Create players with their current handicap, create and add courses locally from the www.bbgpsgolf.com database. Courses can be added by name or within x miles of your current location. New courses can be can be added at the www.bbgpsgolf.com website. Once you have players and courses in the application you can start a round of golf and keep scoring for up to four players. You can decided to play 18 holes or 9 holes, the front 9 first or the back 9 first. Scoring keeps track of shots, putts, GIR (done automatically) and fairways hit, FH. The score will also keep track of your current score to par. GPS data is also available (if available on the course data from www.bbgpsgolf.com) and can be viewed for each hole quite easily. Distances normally show front, center and back of green as well as up to 5 additional items of interest. Golf Caddie will also suggest which club to use to the front, center and back of the green when in range. This is based upon the clubs in your bag (defined under preferences) and the min/max distance for each club. Once a round is complete a full scoring card can be seen for each player. The round can be saved and previous rounds can be viewed. Keep track of driving distances(DONE), penalty shots and sand saves. Licensing conditions: This application is available for free whilst it is in Beta realse, but cannot be redistributed, and the source code is not open source. This application is being submitted to the Pre App Store and will be available to purchase at that time. Installation: No special instructions are required, the app should install/delete like most other homebrew apps using the SDK method. Start the app and create at least 1 player. Ideally the first player that is created should be identified as the Pre owner. Search for courses and save the courses to the local application database. Existing tees will be downloaded with the course if they exist, otherwise default Blue tees will be created. Start a round of golf. 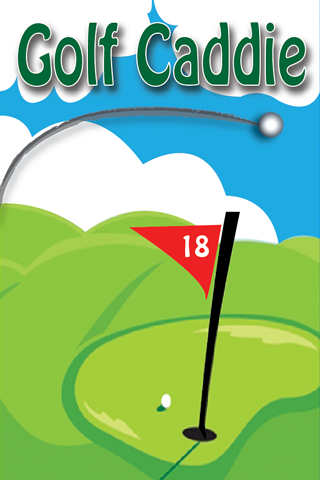 Choose the course, the tees and up to 4 players. Choose to play 18 holes or 9 holes, front 9 first or back 9 first. On the score card there are numerous options available. The score and putts are tapable and can easily be selected. The FH (fairway hit) can be tapped to set the checkmark. GIR is automatically calculated based on the score, par and number of putts so no need to do anything here. It is displayed to show if the GIR was achieved. Moving between holes can be done in a couple of ways. Select either the left or right arrows in the upper part of the screen to move to the next or previous hole, or tap the hole number to move directly to another hole. Tapping on any of the 4 players names will bring up that players detailed scorecard. Tapping the GPS button will bring up the GPS data for the hole. At this moment in time the Mark button doesn't do anything but will be used in a future feature to keep track of driving distances. At the end of a round the app will let you know if any holes were missed. You'll still have the option to save to round, but incomplete rounds cannot be used to calculate and update handicaps. The GPS may take some time to settle so please allow for this time before playing your shot. A special thanks goes out to the developer at www.bbgpsgolf for allowing me access to the course data and for being available to modify his APIs.